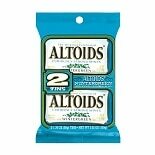 Shop Altoids Mints Wintergreen (1.76 oz. 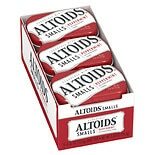 )1.76 oz. 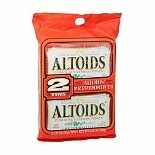 $229$2 and 29 cents$1.30 / oz. $429$4 and 29 cents$1.22 / oz. $999$9 and 99 cents$3.00 / oz. $419$4 and 19 cents$1.19 / oz. 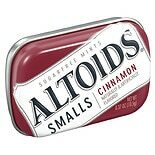 Shop Altoids Smalls Smalls Sugar-Free Mints Cinnamon (.37 oz. ).37 oz. 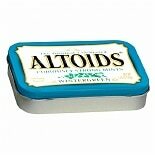 Shop Altoids Mints Spearmint (1.76 oz. 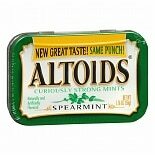 )1.76 oz.